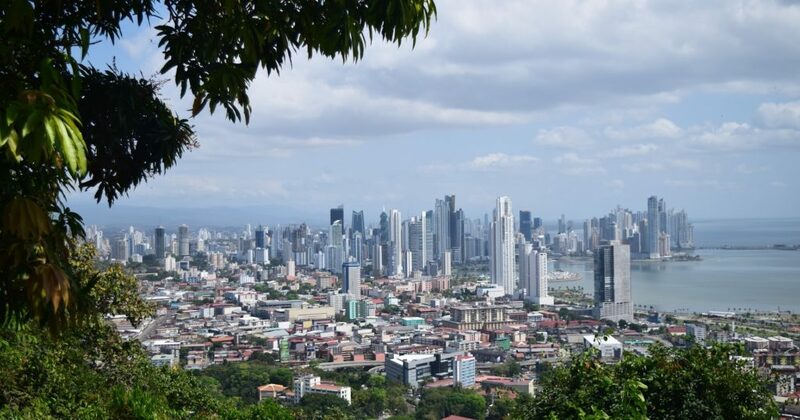 Santonio Hill, who works with the Archdiocese of Philadelphia’s Office of Youth and Young Adult Ministry, also known as Anthem, shares some of the most memorable moments from his trip down to Panama for World Youth Day 2019. So many people, so much confusion at times, but so much joy. World Youth Day was an incredible experience and relatable to nothing else that I’ve experienced in my lifetime. Panama City was very clean and safe. I never felt like I needed to watch my back at all. The metro and busses were very efficient and the food was very delicious. Nobody got sick due to food or weather or bug bites. I didn’t really feel like a pilgrim during my time in Panama. Maybe because we stayed in a hotel, or because of the injuries—causing us to not walk as much—or because the food we ate was not homemade. It felt more like a strange vacation. In the midst of the turmoil caused by the scandals that are still being uncovered in the Church, I was surprised to see such celebration and camaraderie among the youth. It’s a sign that the young people are taking on the responsibility of changing the direction of the Church, and turning it right side up. An interesting statistic: Catholics sixty-five years old and over make up sixty percent of church attendance. If we the young people don’t take initiative now the Church will literally die out in America. That’s why our crew of six pilgrims felt the need to go to Panama. Being with my crew was fun and learning about their journeys was beautiful. One of my favorite things to do is learn about people which provides an opportunity for Godly conversations. The God moments I had were incredible. More on the spiritual side of God moments was the praise and worship session that happened at the first day of catechesis. That group was so anointed, their singing pierced through my soul, and I felt God just living in me. The woman that led my group out of the papal send-off Mass provided a huge God moment as well. We really thought that everything was blocked off and that we would have to walk the rest of the day back to the hotel. She led us to the nearest working bus and metro station. But we found her as she was on her way out. Usually walking would’ve been a cake walk, but our group had a plethora of injuries that would’ve made that walk extend past a day. A few of my greatest high moments were the food, of course, but more specifically the Panamanian Chinese food. Laughter was a big deal for me too. It’s one of my love languages. I was able to laugh with my crew, which I cherished the most, but I was able to laugh with the many strangers I met as well. Ramone, my sixty-eight year old friend, provided another great high moment for me just because he displayed more youth than many of the actual young people there. A low moment was when a woman tried to sell my buddy and I some chocolate. It was maybe the weirdest experience I’ve ever had with a “salesperson”. After rejecting the candy bar several times politely she tried to pick a fight with me about how polite I was. Then we proceeded to have a contest of asking for God’s blessing on one another, “God bless you. No, may God bless you and all your family. May God bless your entire family line and generations from before you and your descendants after you.” I was disappointed on how I handled the situation. I was able to walk away with many lessons learned from this trip. I was reminded about the infinite love of God. No matter how much we mess up in life God is always willing and waiting to forgive. I learned that over-preparing for a trip and over-communicating with my group is wise. Overall, this will most likely be my last World Youth Day but I’m glad I had the opportunity to experience it. Santonio Hill is the coordinator of urban outreach for the Archdiocese of Philadelphia.